In the December 10, 2017 Staunton News Leader, Nancy Sorrells of Augusta County writes about the threat the proposed Atlantic Coast Pipeline poses to the historic dry stone walls that traverse both both the east and west face of the Blue Ridge. “The grey and green lichen and moss-covered walls of stone meander through the forest like silent sentinels of history. Long ago, settlers on the western slopes of the Blue Ridge Mountains in Augusta County, and on the eastern slopes in Nelson, lived proud and independent lives on their subsistence farms. 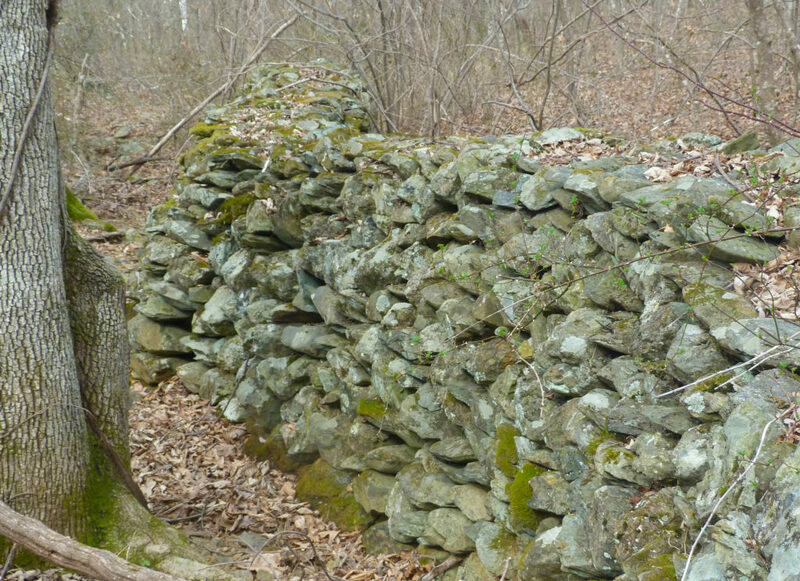 These stone walls were an integral part of their daily farming activities,” protecting crops and gardens and enclosing animals. Although morterless, the walls are remarkably stable, and still stand “horse-high and hog tight,” snaking for miles along Blue Ridge slopes. Late 18th and early 19th century settlers in our part of Virginia’s Blue Ridge came from the Ulster region in the north of Ireland; scholars have suggested that the differing styles of the walls may be attributed to different kin groups. “The only threat today to these walls is a natural gas pipeline. To date, Dominion will not acknowledge the need to avoid these walls during their construction activities. Should Dominion build its pipeline through these walls, there is no mitigation that can restore what those artisans created centuries ago. This entry was posted in Cultural Resources, Pipeline Route, Take Action on December 14, 2017 by Ellen Bouton.